Grab seven of your closest friends and get ready for the wildest, craziest party ever. With six new boards, two new characters and dozens upon dozens of new minigames, Mario Party 7 will keep you rockin'. Explore the world with six brand-new game boards. As Mario and friends embark on an around-the-world cruise, each board serves as an exotic port of call: Grand Canal, Pagoda Peak, Pyramid Park, Neon Heights, Windmillville and Bowser's Enchanted Inferno. Each one should be a lovely vacation spot...but Bowser has other plans. 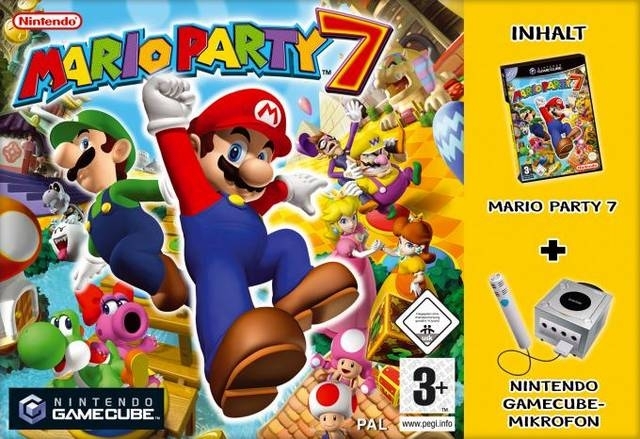 Up to eight players can participate in the action – four more than the previous Mario Party titles. In a four-player game, each participant will have his or her own controller. In an eight-player match, participants will share a controller. 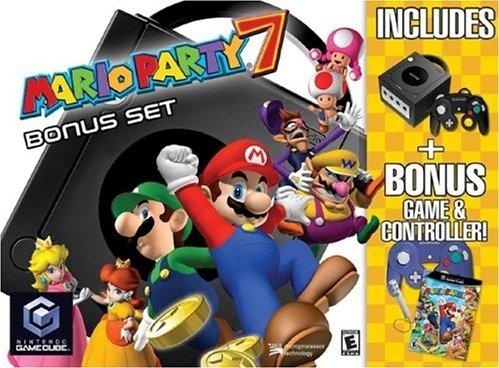 Mario Party 7 will feature 86 new minigames, 11 of which use the Nintendo GameCube Mic. From leaping over electrified hurdles to avoiding a mole with a giant hammer, each game is a party in itself. 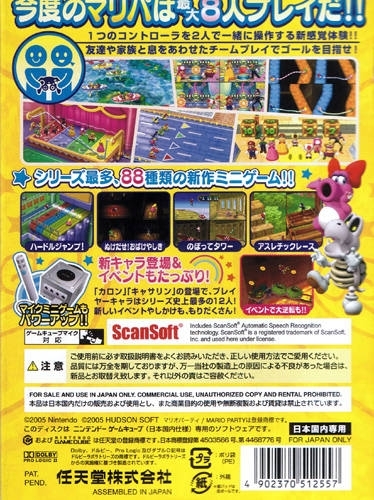 The addition of two new playable characters, Birdo and Dry Bones, adds to the fun. 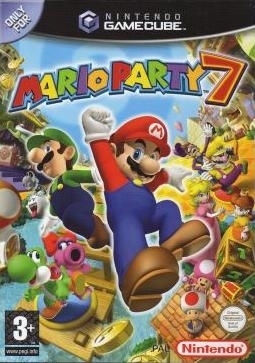 Game Storyline: Toadsworth has invited Mario and all his friends to go on a luxury cruise aboard the MSS Sea Star. However, someone gets left behind: Bowser. Furious at being omitted from the exclusive guest list, the Koopa King vows revenge. When the cruise ship arrives at its first destination, the passengers discover that Bowser has turned their vacation paradise into a stress-filled madhouse. 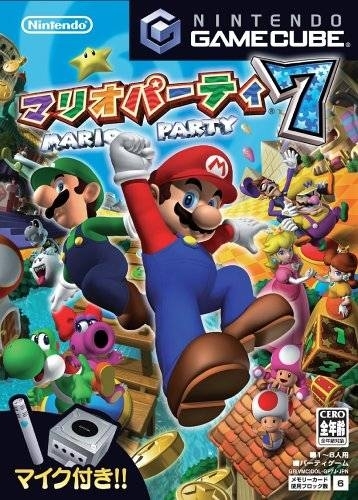 Characters: Playable characters include Mario, Luigi, Peach, Yoshi, Daisy, Wario, Waluigi, Boo, Toad and Toadette, along with newcomers Dry Bones and Birdo. 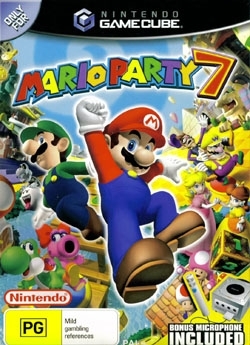 Other popular mainstays from the Mario universe, such as Bowser and Toadsworth, play an integral part in the title. If players are looking for a one-on-one battle against a friend or the computer, this is the area for them. 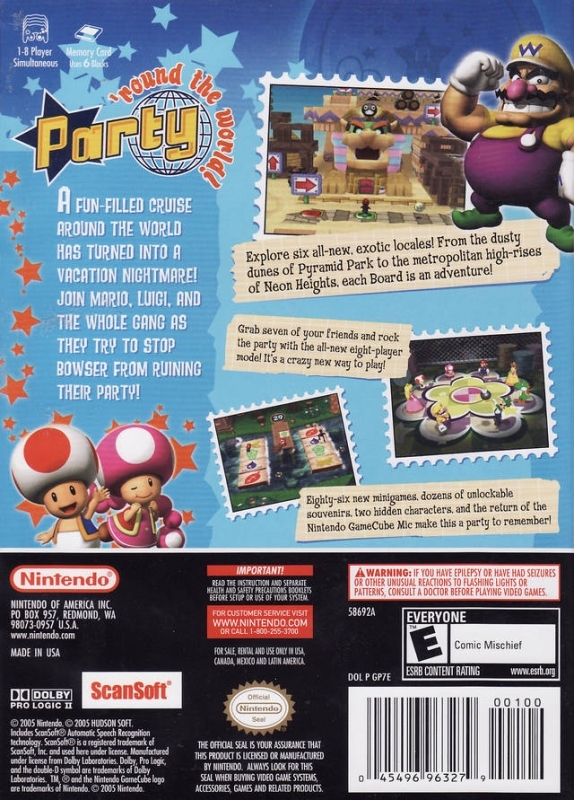 The contests use the same game boards as Party Mode. With free play, tournament, decathlon and dueling options – as well as two brand-new rule sets – players can party to their heart's content. 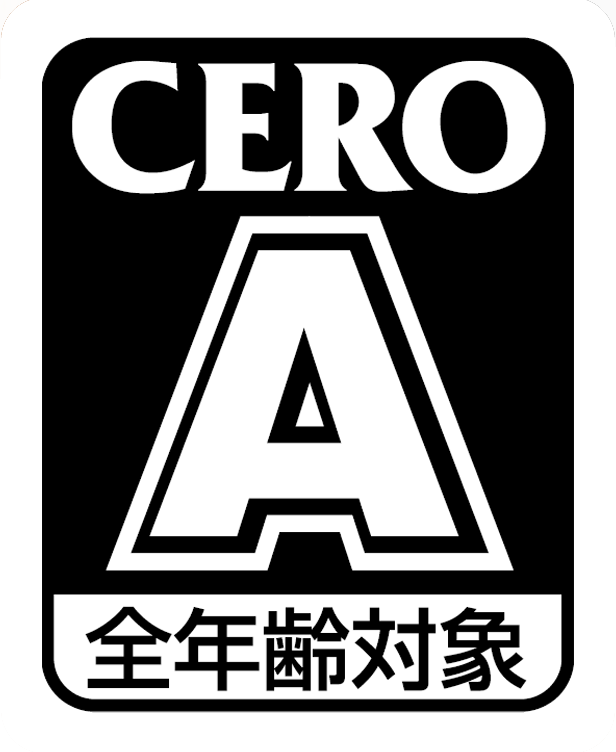 For one to eight players. 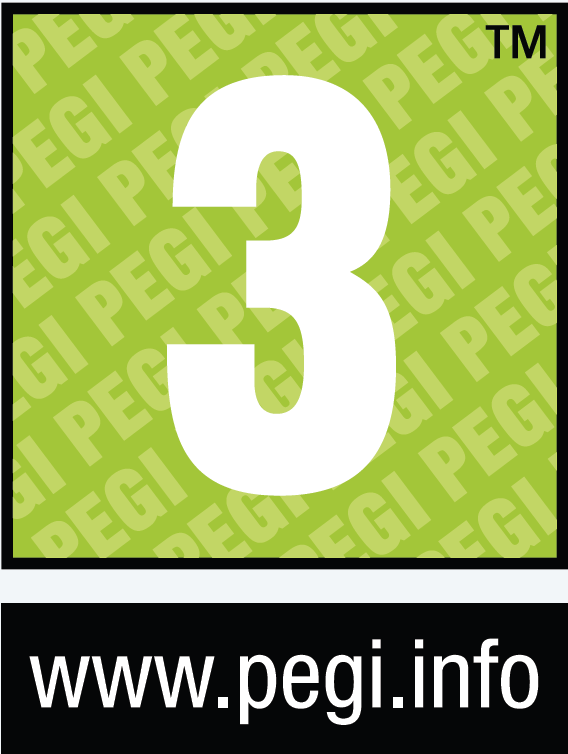 Exchange mileage points and items for awesome unlockables and other fun prizes. The Nintendo GameCube Mic is used for basic game mechanics and 11 mini-games. It can also create silly effects, such as making an unlockable souvenir move when players say a word. The Mic can be disabled if players choose, and all 11 mini-games can be played with a controller only. This and 3 are the best ones. I love the snowball mini game on this when it's a 1 on 3 snowball fight, but the one guy gets three monkey or shy guy helpers. Best mini game out there.